Along with a computer, an audio interface provides the all-important hardware foundation for computer-based recording. 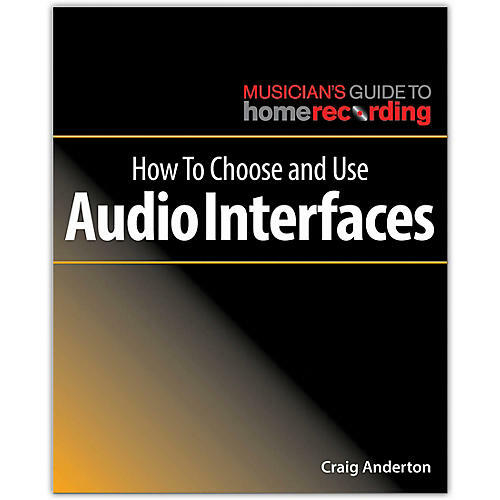 This book helps musicians choose, apply, and get the maximum performance from all types of audio interfaces. Written in a clear, practical, non-intimidating style, topics include: · The significance of different types of analog and digital connections and how you would use them · Interconnection protocols (USB, FireWire, Thunderbolt, PCIe) for Windows and Mac computers · Product options from portable, mobile units up to sophisticated mixers that can also serve as audio interfaces · The special requirements involved in recording guitar · The function of drivers and accessory programs (like software mixers for signal routing) · Ways to minimize delays that occur when using audio interfaces with computers · How and why to choose particular sample rates and resolutions · The high-resolution audio controversy · Microphone preamps · Using multiple interfaces · Expanding existing interfaces for more inputs · Understanding specifications · Various special features unique to particular interfaces, and more Loaded with illustrations and featuring the judicious use of sidebars to give details on selected topics for those who want to know why as well as how, How to Choose and Use Audio Interfaces is essential reading about one of the most important elements needed for a high-quality, computer-based home or project studio.